Is a Hand Quilting Business Worth It? I have a request to hand quilt and I have no idea how to determine what to charge. Could you help me out with the guidelines? I do hand quilting on my own quilts and people tell me I do a good job and they want me to do their quilts. Any information would be appreciated. I'm thinking about doing hand quilting as a business if it will be worth it. It takes a lot of time and I don't think people realize it. The most important thing that you can do is to try to figure out how long it will take you to do a quilt of a certain size, figure out how much you would like to make per hour, and multiply that out. This will give you an idea of whether or not the process will be worthwhile for you. Once you have a basic idea of how much you would like to charge, you can see if your potential customers are willing to pay. Sometimes, it can be more difficult dealing with friends because they might think your time is not as valuable, especially if you're just starting out. 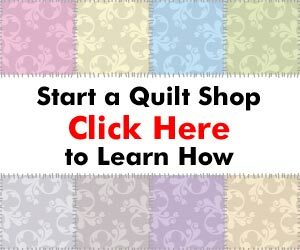 But, if you want to try quilting as a real business, you need to make sure you are getting paid for your valuable time. One of the best ways you can let people know the value of your service is to tell them exactly what goes into hand quilting their quilt tops. Explain how long it takes, the number of stitches per inch, the quality of the thread, and the intricacy of the patterns. All of this will help convince your potential customers that they will be getting a finished quilt that will become a treasured heirloom for their family for generations to come. Hope this helps, and good luck with your new quilting business. If you have any questions about your quilting business – whether just starting out or looking for a boost with some solid marketing or business advice – feel free to send me an email at chuck@quiltingbusiness.com. PLEASE NOTE: This article and product review archive is here for your benefit. If you would like to use any of the articles or product reviews on your own web site or in your own email newsletter, you must include the resource box at the end of the article and contact QuiltingBusiness.com to requestpermission. Hand Quilting is an art form and many people do not realize the time involved. We have a Mennonite group in my a area and they have used the thread by the yard pricing for years. They work really faat and to compete with them is really difficult. I have done a few hand quilted pieces for friends and as you have stated they think you should do them a favor and reduce the price. Stand firm and if they truly want a hand quilted quilt they will come around. Thank You for having this question posed and the sources for the pricing. I have just recently started setting up my website. I had sold on E-Bay for a number of years,but to sell the way I wanted to, it was too expensive. Yes, I truly agree with you that Hand Quilting is an art form and does take a lot of time. But when you see the surprise and pleasure of one these treasures, it is worth every stitched finger you suffered in making it. I charge 10 cents a square inch plus cost for my quilts. People usually are delighted with the quilt. I suppose I’m under pricing, but the way I enjoy and the speed I quilt, it is enough.